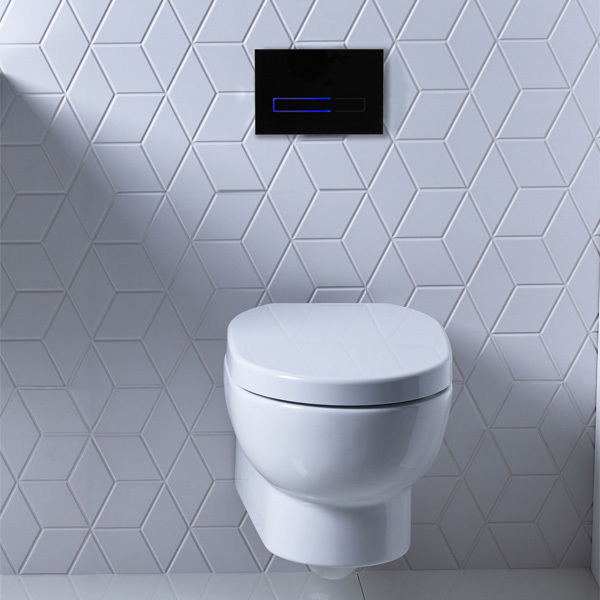 Bathroom specialist Roper Rhodes has unveiled the Sensor Dual Flush Plate, designed to be mounted horizontally, in a black glass finish. A light touch is required to initiate the flush and the plate lights up to indicate activation. It is operated by four AA batteries, which should only require changing once a year under normal domestic conditions. Roper Rhodes recently introduced the Veer brassware range.